We have set up a library in Mendeley to collect relevant papers for EuroEPINOMICS. Keeping up to date feels like a menial task yet no simple solution delivers good results. You can’t read all the tables of contents by mail (or RSS) and publishers have the tendency to spam those e-mails, but most likely you’re subscribed to the essentials. The more anxious of us employ automated search services at the NCBI or use the good old PubCrawler to follow their field of research, a particular gene, or the output of their nemesi or mentors. We are using this blog to highlight new and interesting publications, but we should also share publications that date back a little longer but are essential to EuroEPINOMICS. 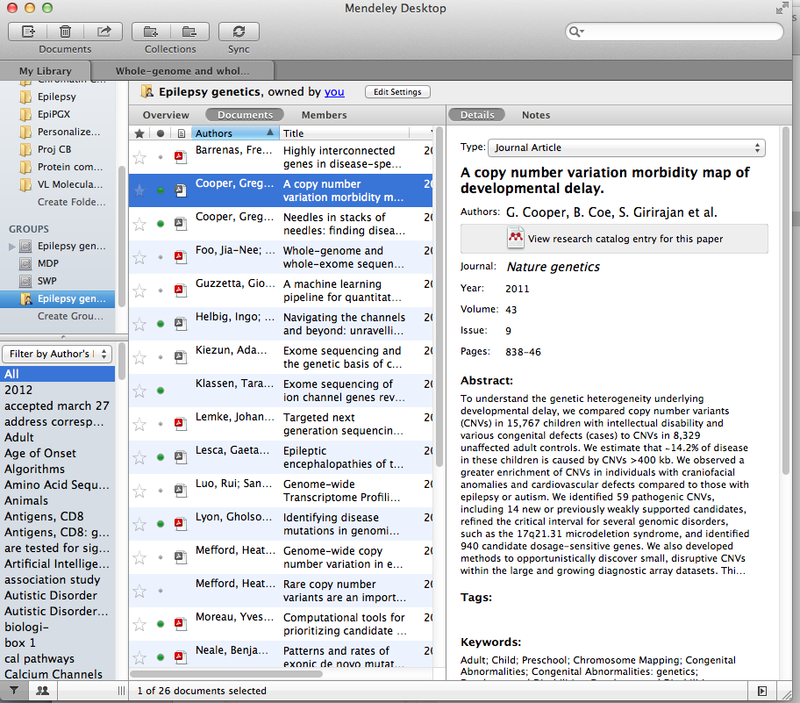 At our bioinformatics meeting the subject was raised again and we agreed to implement the service in Mendeley. Access to the library is free and open without registration but you get more out of the service if you subscribe. The company providing the service has a good standing in the community. Feel free to add papers that you consider of interest and let us know whether you find it interesting. Thanks to Fritz Zimprich who selected the first round of papers. This entry was posted in 2012, EuroEPINOMICS, Papers and tagged literature, mendeley. Bookmark the permalink.